FS: 2007 350Z STU National Championship winning car. For anyone who hasn't seen it on FB today. For Sale to a good home. This has been the hardest ad I've ever written. I *really* like this car. It's time to simplify a bit on the automotive front. The 350Z in STU is a jack of all trades. It has good power, responsive handling, it stops well, sounds great, is reliable, and it's a ton of fun to drive. With the right shock valving it can also be reasonably comfortable on the street for an ST car. STU is about the most fun you can have on street tires, in my opinion. Ask anyone in the class. This garage-kept US-spec car was purchased as a C-Street car from a Canadian autocrosser in the summer of 2016, with about 55k miles. Shortly afterward it was converted to STU trim using parts from the 2013 STR / 2014 STU Championship winning 2003 350Z that Brian Peters campaigned (which is now my stock daily driver). Setup has evolved as needed as tires got grippier and the chassis changed. 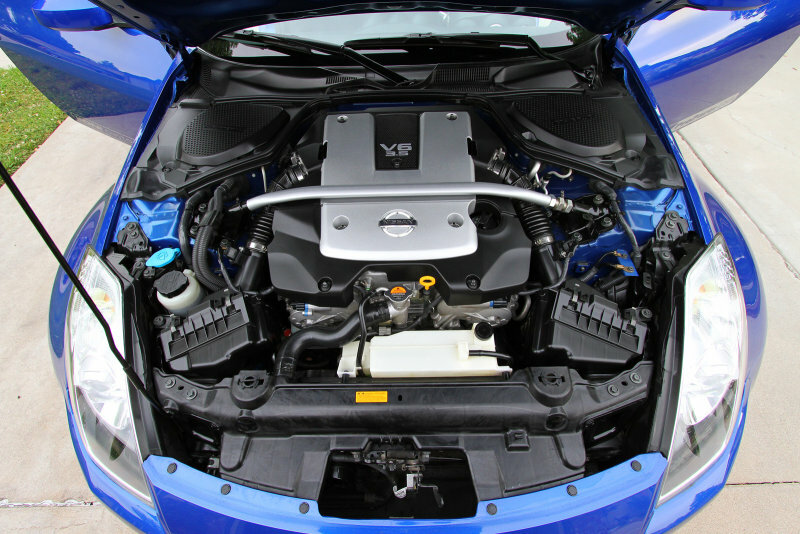 The HR engine was chosen for its higher power output and higher rev limiter over earlier 350Zs. The vast majority of the miles put on the car since purchase have been highway miles to and from autocross events, including driving it from CA to Lincoln NE and back on three occasions. The prior owner also road-tripped it all over Western North America to events to run in CS. Dyno tuned to 290rwhp, 250rwtq on 91 octane with a torque curve as flat as Kansas. 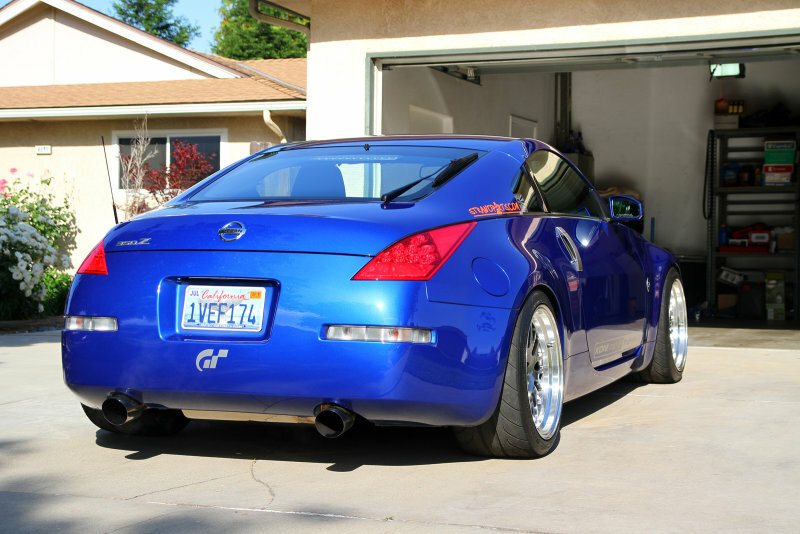 Tuning by Specialty Z in SoCal. UpRev Osiris Tuner (full unlocked editor), currently with 5 maps loaded onto the ECU (different octanes and rev limits). Maps are switchable on the fly using the cruise control buttons. Custom-valved double adjustable aluminum-body Koni 2812s by ProPartsUSA. Spherical upper mounts front and rear. 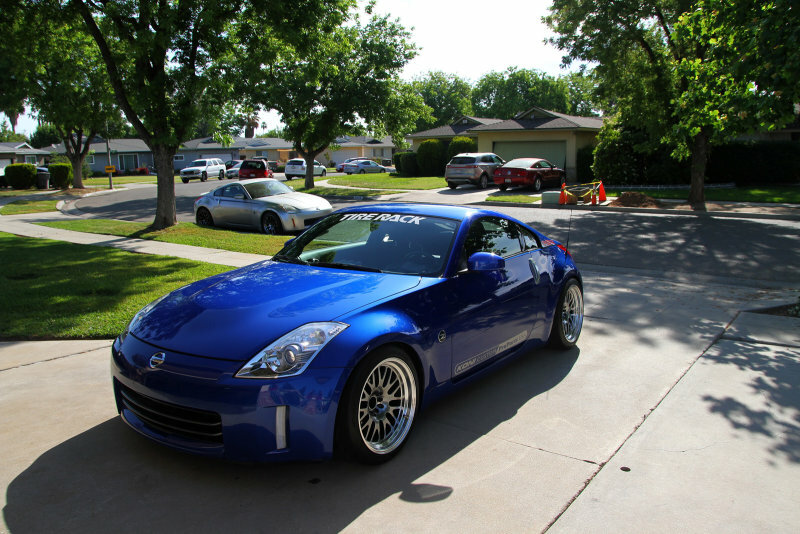 XXR 531 18x11" wheels wrapped in 275/35-18 Nexen SUR4G tires that are about half worn. 3mm spacers needed for the front four are included in case you're like me and enjoy that little extra flushness at the rear. Until you're dirty all Saturday at a ProSolo and you take them out to give yourself a 0.05% better chance of being clean Sunday morning. 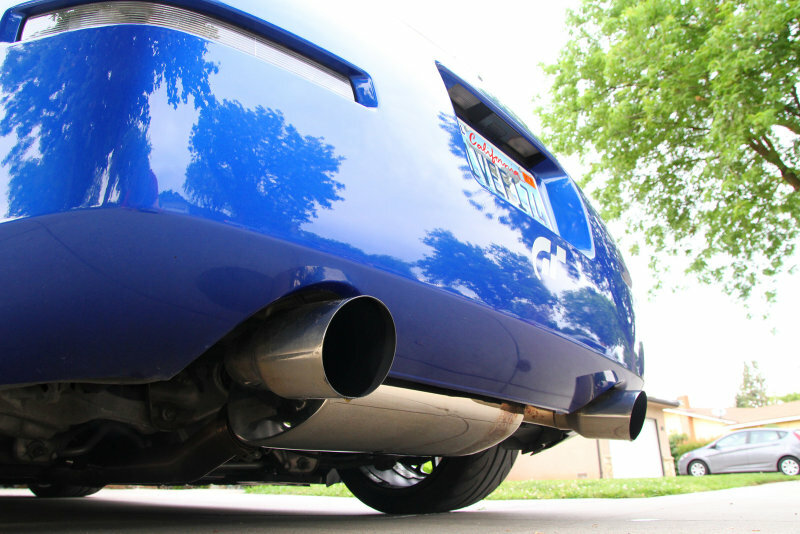 Stock suspension parts can be included, as well as a small light single-exit race muffler. - Pioneer AVIC-X940BT head unit. 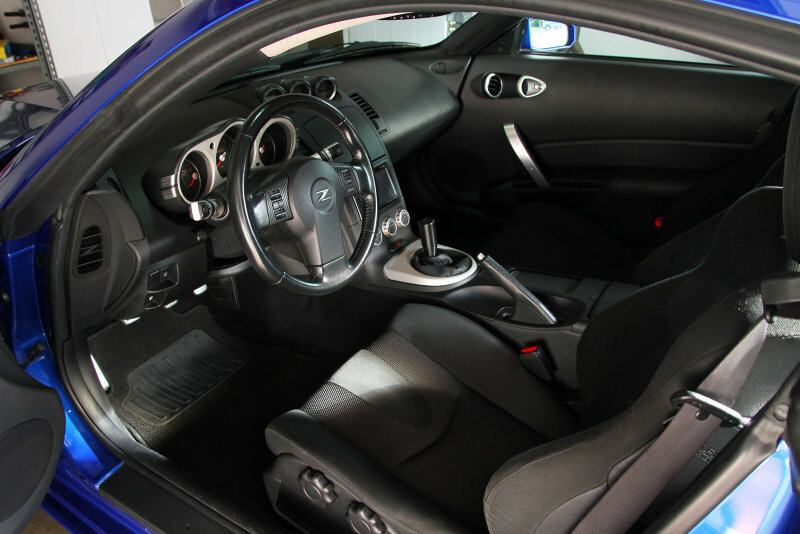 It has navigation, bluetooth with mic installed, iPod connector in the center cubby, and it's interfaced with the stock steering wheel audio controls. - Window switch trim wrapped in 3M or Avery (I forget) textured CF-look vinyl. The OEM plastic scratches when you look at it funny. This was my solution. I liked the look so I wrapped the light gray steering wheel button trim, too. - It's fast and crazy good fun. - It's in excellent condition inside, outside, and mechanically, aside from items listed below. - The oil galley gasket issue has been taken care of with the updated metal-reinforced gaskets. This is a very labor intensive project that every VQ35HR has to have done at some point. Dealers charge in the thousands. - Recent Genuine Nissan thermostat, drive belt, transmission oil. - Freshly polished and sealed paint. - The rear hatch fully releases for one-handed lifting. This is a common problem on 350Zs but not this particular car. - Front bumper was never in great shape since owning the car. There's a deep scratch or two and a split part near the bottom corner of the grille, plus some cone rash on leading lower edges. The front of the hood also has some small stone chips from the highway miles. - There's a repaired chip in the center of the windshield that I often forget about because it hides behind the rear view mirror from the driver's perspective. It's been there since I bought the car and has never changed. - The rear diff has a whine/hum at highway speeds. I've run it this way since 2015, no other issues aside from the noise. It's not real noticeable with the 'full race' exhaust on, but I'm reminded of it now that I've been driving with the quieter exhaust configuration. - One post-cat O2 sensor for the relocated cats throws a harmless code for the heater circuit. I check codes periodically since the light is always on no other codes have been triggered. What's currently installed is a new sensor with shorter wiring that works only with the stock cat location and does not illuminate the CEL. Recent Kahlifornya emissions certificate. Located in Fresno. I can't stand the car this dirty. This was 2016 Nationals, the car was converted to STU in the ~10 days leading up to departure for Nebraska. There was no time to make it pretty. That had to wait. Last edited by Bryan Heitkotter on Sat May 19, 2018 7:27 pm, edited 1 time in total. 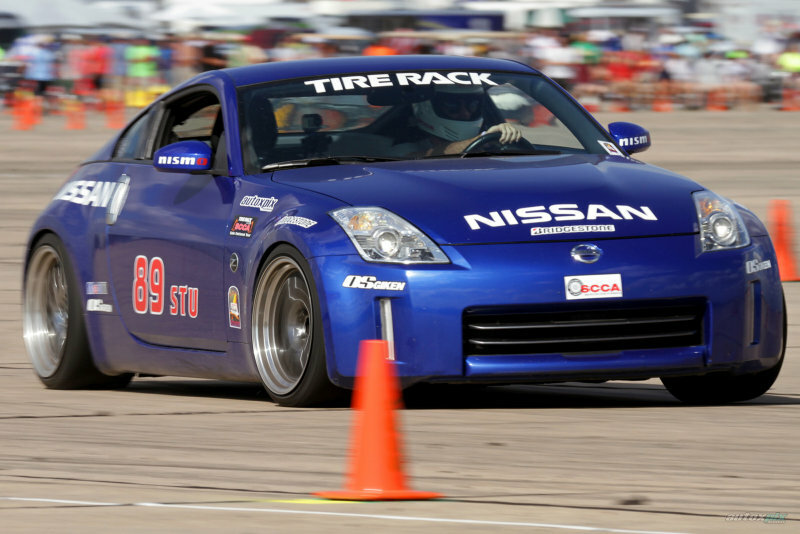 Re: FS: 2007 350Z STU National Championship winning car. Downsizing. 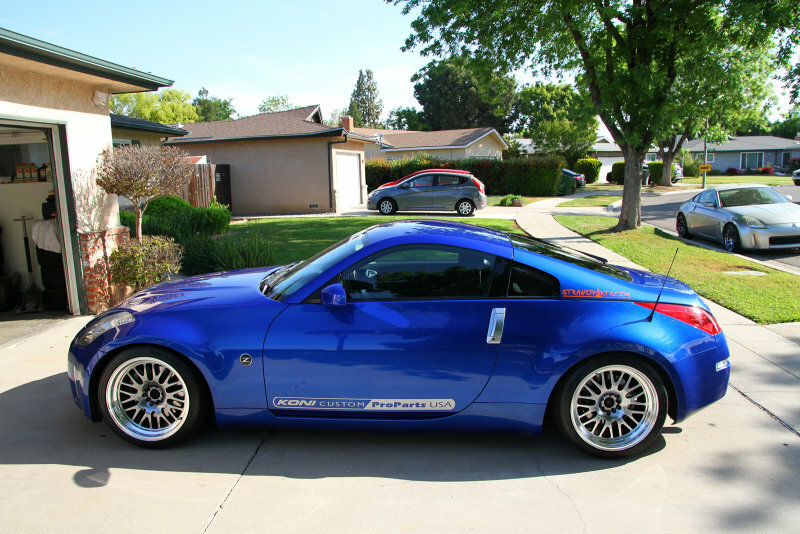 The silver Z will be for sale soon, too, and I'll go down to 1 car (besides the MR2). It may not end up being a competitive autox car. Need to find some things to test drive. Also, this car is SOLD. Staying in the autox family.